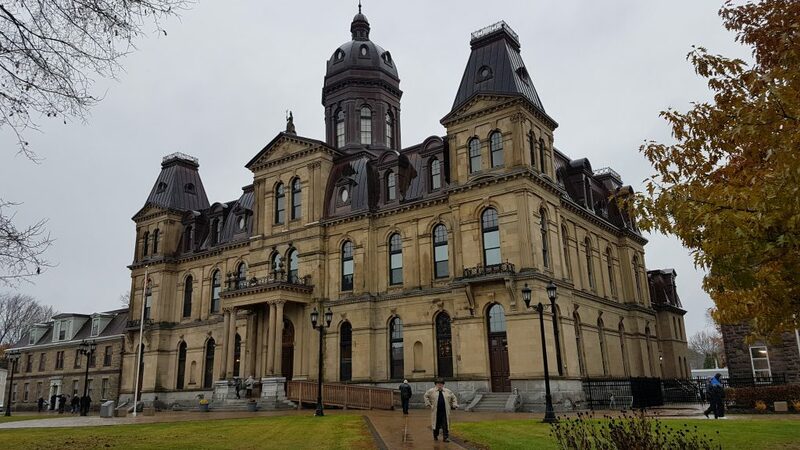 Fredericton – The Progressive-Conservatives (PC) delivered their Throne Speech on Tuesday. CUPE NB is disappointed the major concern of front-line workers were not seriously addressed. “Credit rating agencies, business interests and shrinking our fiscal plate clearly came before ordinary workers in this speech,” said Légère. 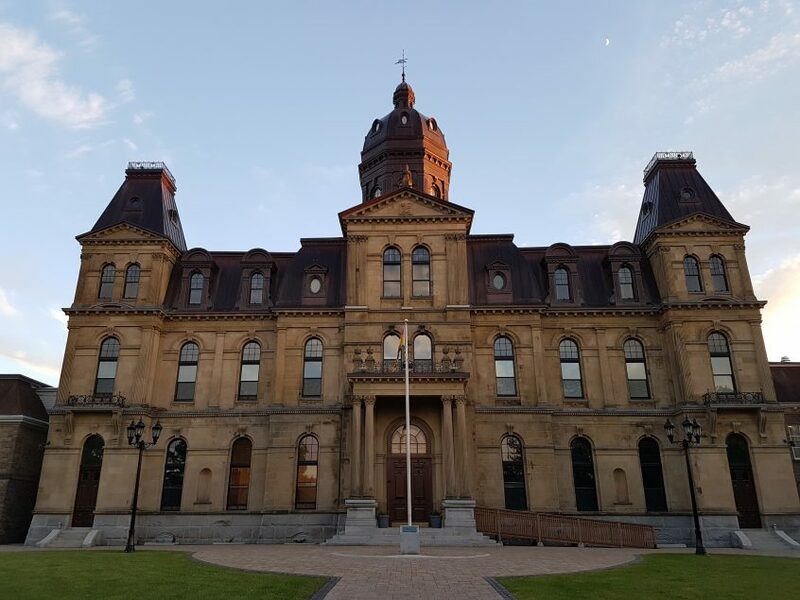 Planned WorksafeNB contribution rate increases are now jeopardized, despite employers having benefited from artificially low contribution levels for close to thirty years. Wage increases for public sector workers were not mentioned, nor did they talk about a better minimum wage or the urgent need for a legislated living wage for private sector workers. 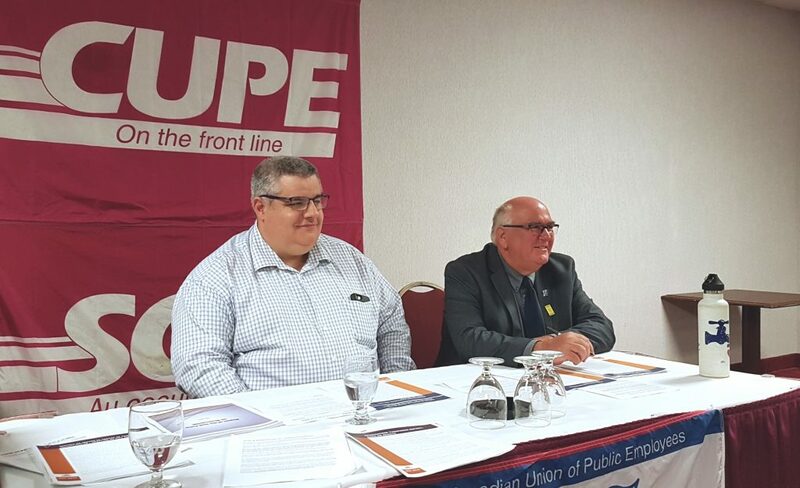 “No government can hide away from the problems that a decade of stagnating wages has created,” said Daniel Légère, President of CUPE NB. “Most PC MLAs are convinced only business leaders can get New Brunswick out of its slump, but they’ve got it upside down. They forget it’s the workers, not the bosses, who truly run our mills, our schools, our ambulances, our call centres, etc. When you take care of the people as a number one priority, communities and businesses can then truly prosper,” added Légère. Despite this criticism, CUPE NB also noted some positive elements of the speech. 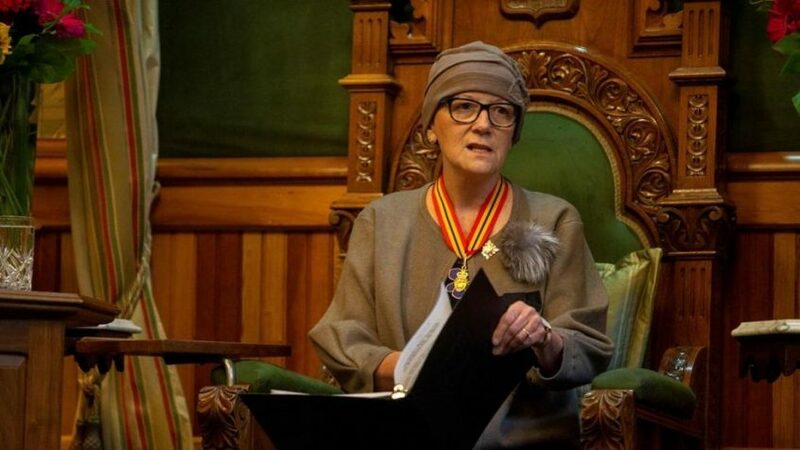 “I was happy to see they plan to review the wages and working conditions of home care workers, promise to improve the Auditor General’s budget and a commit to improve our immigration strategy,” concluded Légère. 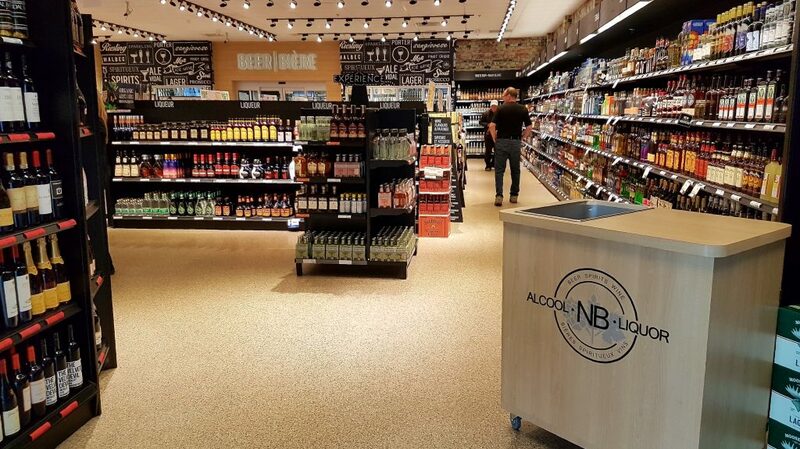 CUPE 963, the union representing NB Liquor workers, opposes the potential modification of the Liquor Control Act to allow convenience stores to sell beer, wine and alcohol. This modification became an electoral promise of the Liberals this weekend. “With the current growth of agency stores, this further erodes our service, even more so in urban areas. This is partial privatization and it will lead to closures of ANBL stores,” said Jamie Agnew, president of CUPE 963. “This will transform good paying jobs, with those workers paying taxes, into precarious minimum wage work,” said Agnew. “This hurts our communities, privatizes profit and socializes risk,” added Daniel Légère, president of CUPE NB. It is a myth that privatization makes things cheaper for the consumer. CUPE notes that partial privatization of the SAQ (Société des Alcools du Québec) did not either result in cheaper alcohol prices. Competition by the different retailers did not have the effect of encouraging them to reduce their profit margin. “Transferring parts of the sale of alcohol to the private sector will reduce income for the province and reduce the number of good-paying jobs, which does not help grow our economy,” said Légère. Currently, Alcohol New Brunswick (ANB) generates over $169 million for the public coffers. We sent a questionnaire to political parties, asking them what their positions are on several workers’ issues. Find the results below. Voting day is on September 24, 2018. Find out more information on how to vote by visiting http://www1.gnb.ca/Elections/en/provstreetkey/provskinformation-e.asp. Blaine Higgs, the Progressive Conservative leader, has announced that if he is elected Premier, he will cut 600 public sector jobs through attrition. Attrition means eliminating job positions after a worker retires or resigns. 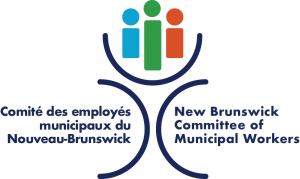 Some New Brunswickers think that there is no harm in this approach because no worker will actually be removed from their job. The reality is, New Brunswickers should be concerned about attrition. It stands to reason that the jobs that would be removed are full-time, permanent jobs, with negotiated benefits – these are the types of jobs that, on the books, “cost” the province more. What happens when good, well-paying jobs disappear? 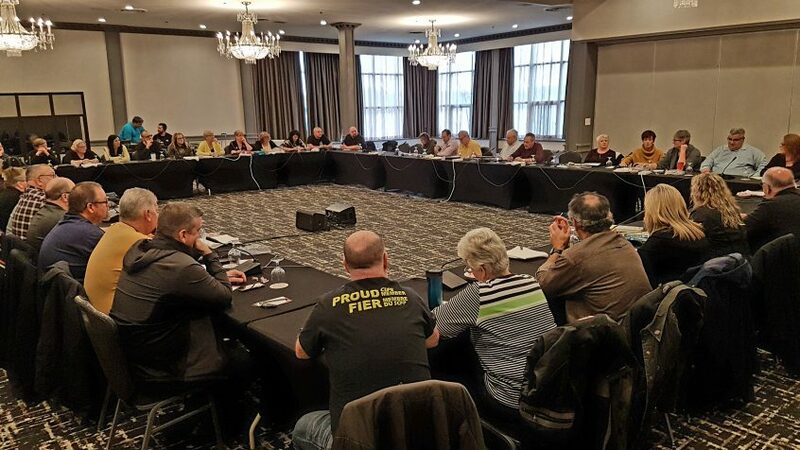 Recruitment & retention problems: Several health care and long-term care CUPE locals are facing severe recruitment and retention issues. 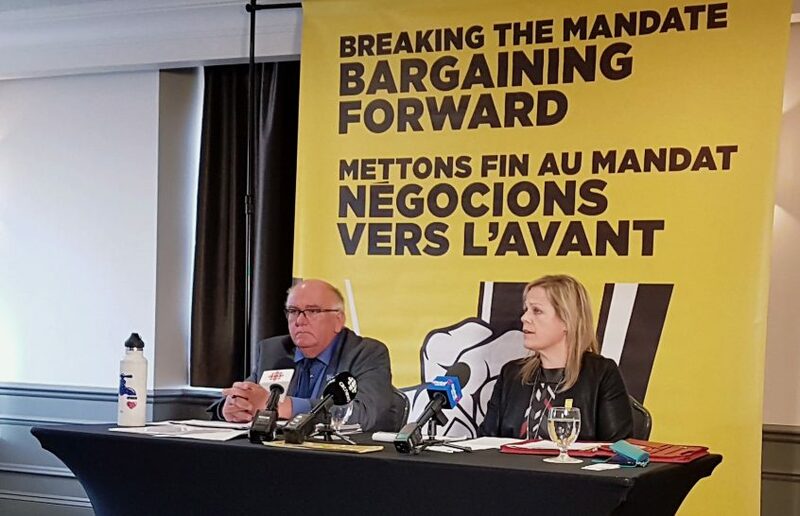 In fact, 71% of surveyed members of the New Brunswick Council of Hospital Unions indicated that in the past year, they have seriously considered changing their occupation given the increase in workload and violence in the workplace. If full-time, permanent jobs are replaced with casual, part-time and precarious jobs, it becomes more difficult to attract, and keep, new workers to alleviate the burden. Precarity: A decrease in well-paying, full-time, permanent jobs leads to an increasingly precarious workforce. In August of 2018, the Canadian Centre for Policy Alternatives surveyed professionals in Canada. The survey found that one in five workers experiences precarity. They work contract to contract, part-time or do freelance work. Sixty percent said that they don’t have pension plans or sick pay. These results cut across all employment sectors, professional occupations, wage levels, ages and career stages. A sluggish economy: More precarious workers means less spending. If a worker doesn’t know when their next paycheque will be, they are less likely to invest in buying a home or building a family in New Brunswick. A 2015 study by the Organisation for Economic Co-operation and Development (OECD) finds that the ever-increasing precarity of work is “dramatically holding back economic growth” – both because workers have less to spend, but also because it is harder for them to invest in gaining new skills to better their situations. And what about young workers? 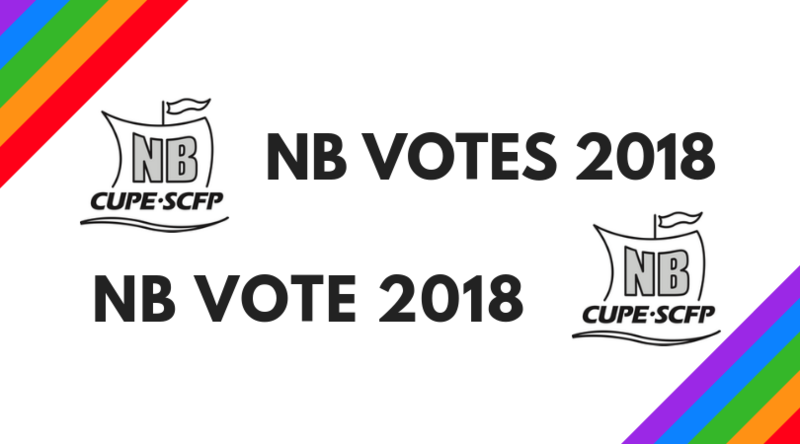 All political parties agree that we need to keep young New Brunswickers in New Brunswick. The current situation is bleak. Reports talk of “persistent net interprovincial migration losses”, mostly of working adults aged 20-29. We have a responsibility to ensure that high school, college and university graduates have access to good jobs – for a New Brunswick that’s prosperous for generations to come. Gabrielle Ross-Marquette is a CUPE Research Representative for the Maritimes Regional Office.